"A ShadowFall Novel (sequel to The Faraian Conspiracy)"
Things get strange...and complicated...when Genjiro Nakadai finds a cryptic note on his computer, which mysteriously disappears! (Sequel to “The Faraian Conspiracy“). 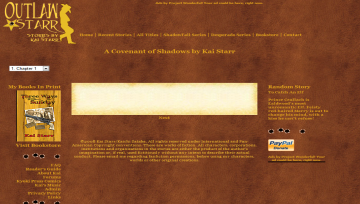 A Covenant of Shadows has not been tagged yet. Help others find A Covenant of Shadows by tagging it! A Covenant of Shadows has not been reviewed yet. A Covenant of Shadows has not been recommended yet.